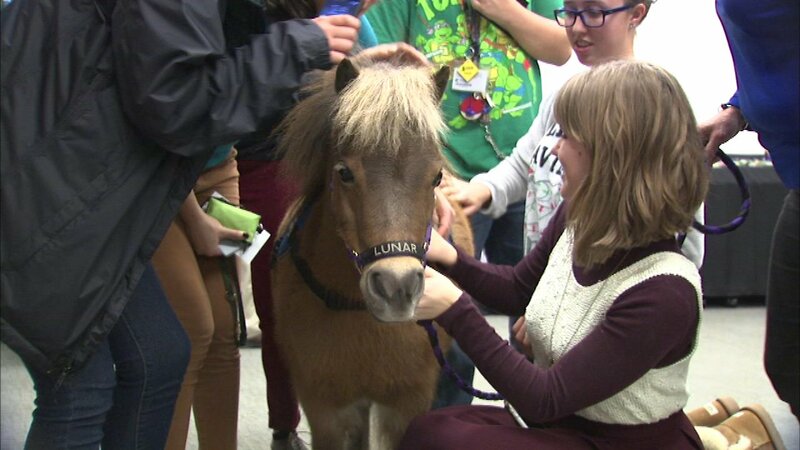 CHICAGO -- Miniature therapy horses were brought in Wednesday for Roosevelt University students to chill out as they begin their finals. The school hosted an event called De-stress Fest. The nonprofit organization Mane in Heaven provided three horses for the event.